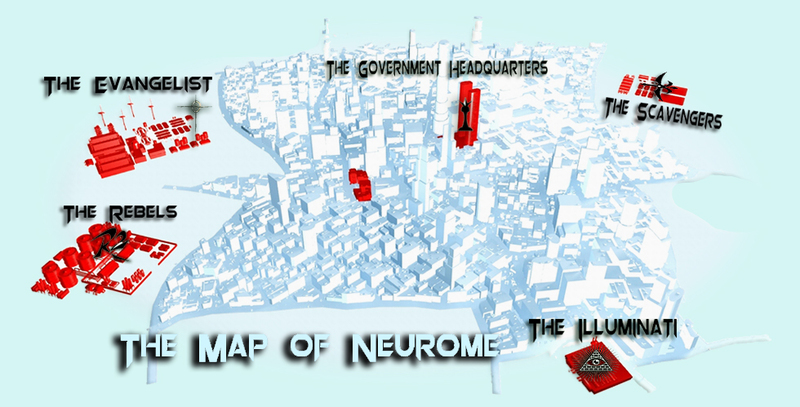 For our title sequence, we have decided to create a map consisting of the different names of our cults and groups. It features a futuristic outtake of a city and includes highlighted areas of where the different cults are staying. We created the map using Photoshop and we managed to find the font of 'Orion' for the typography used on our map.